Get into a legendary VW bug without breaking the bank. 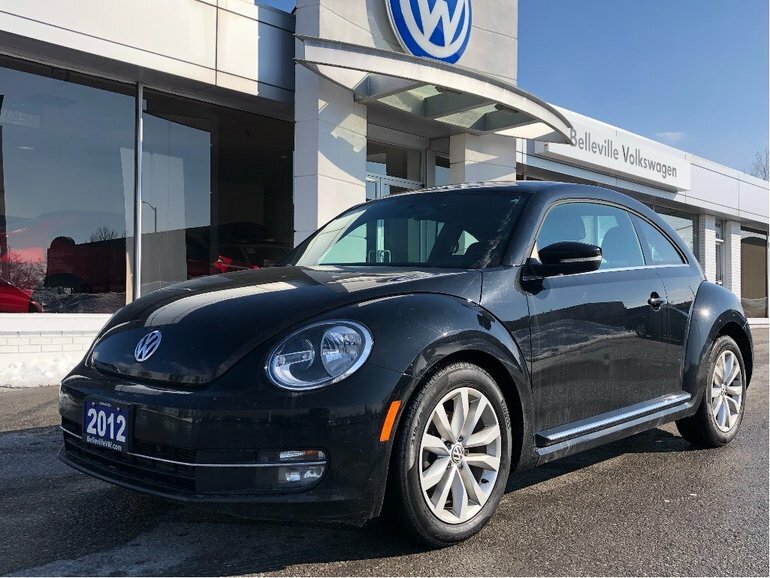 This Highline Beetle features heated seats, sunroof, Bluetooth, cruise control and more! This local trade has been fully serviced by our top-rated service team at Belleville Volkswagen and is ready for many more years on the road. Contact Belleville Volkswagen 613-966-3333 or info@bellevillevw.com to book a test drive! We have a great selection of previously enjoyed Volkswagens. We are proudly serving Belleville and the Quinte Region for over 27 years. Come and see why our people make the difference. Belleville Volkswagen is one of the proud recipients of the 2017 Wolfsburg Crest Club Award. 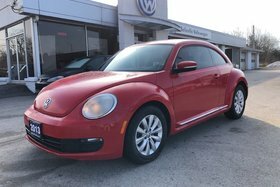 Interested by the 2012 Volkswagen Beetle Highline?